Make a new experience of media relations. 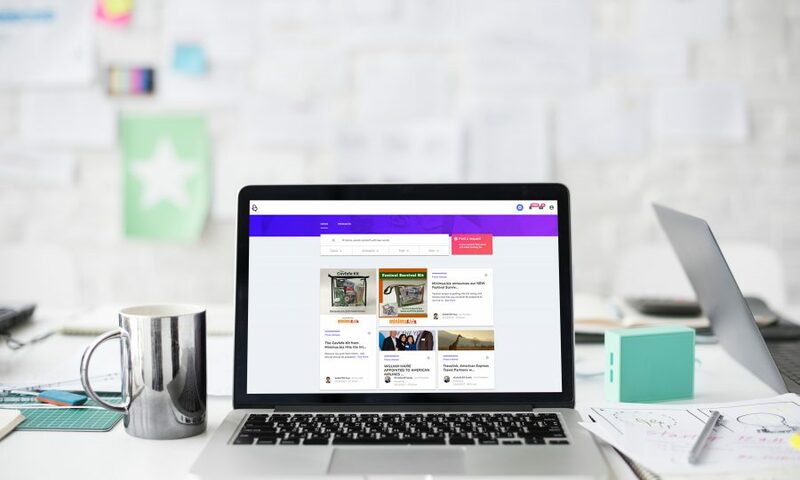 On our PR platform, search and connect with media influencers and get featured simpliying your collaboration and interactions with them. 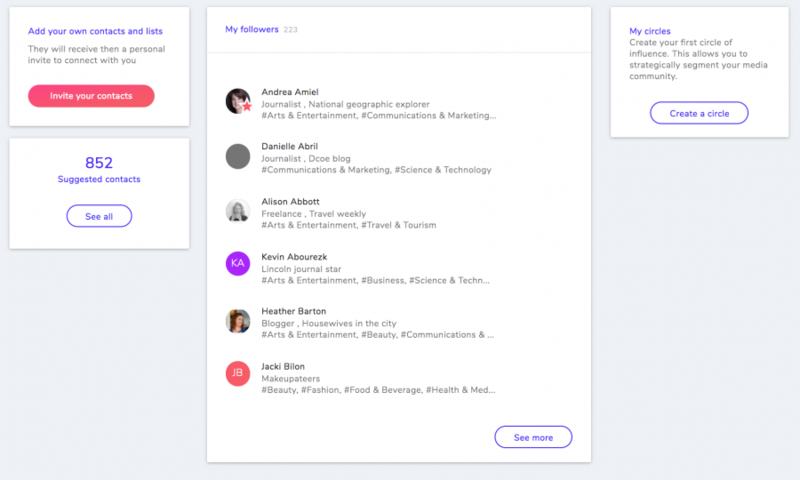 On your Babbler profile, you can directly post your latest press releases, events or speakers profiles. Create and entertain your media relations. In partnership with Agility PR Solutions, benefit from a database of more than 1 million reporters worldwide. Provide to the reporters a place where they can have a direct access to your latest stories and content, 24H/7, for FREE. 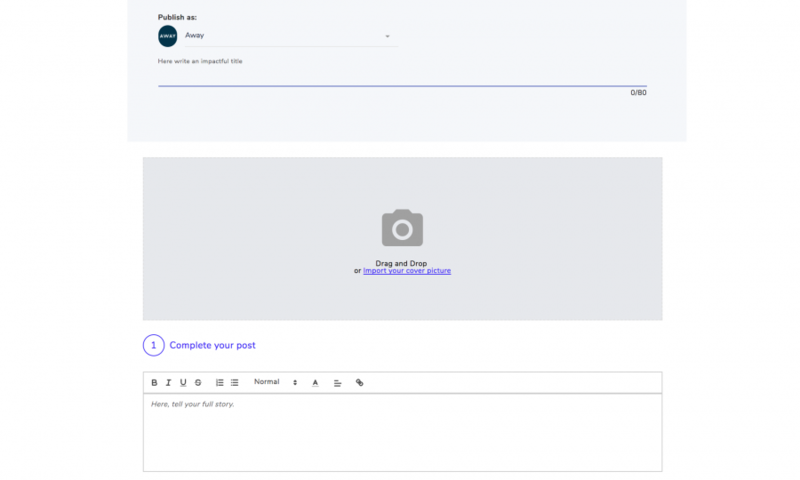 Build beautiful press releases in minutes. 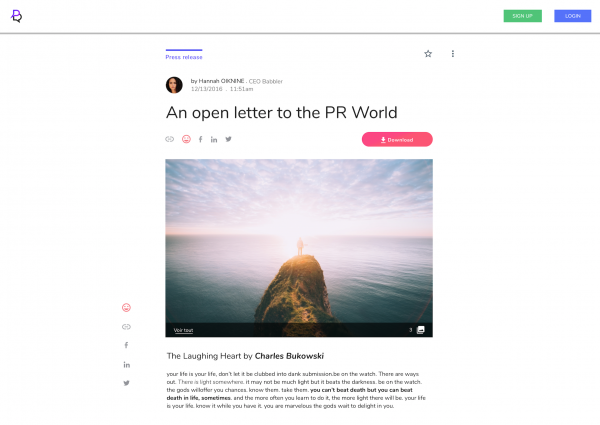 Connecting your content with relevant media contacts begins with an online hub where you can publish your stories. - Looks great on every device. - Can be integrated in your own website.